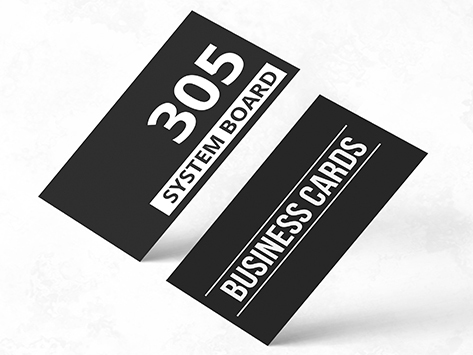 Business Cards printed on System Board 305gsm high white card. This 305gsm uncoated stock is perfect for clients looking for a very high white point card stock. Mostly used for artists and clients in the photography fields as the colour reproduction print is excellent. The card has a slightly raw feel but is smooth, elegant and has a premium look and feel. Also great for loyalty cards. Simply utilise existing business card artwork and add a grid onto the reverse side to track purchases. You can easily mark off each purchase using a self-inking stamp, pen, or biro as the uncoated stock will absorb the ink without rubbing off.